Fun fact: I’ve seen more landing pages than anyone on the planet, and part of that painstaking and often nosebleed-inducing exercise is that I get to see some really cool and awful things. If you’re running marketing campaigns – and who isn’t amirite? – then landing pages matter to you. On September 25th, we asked our readers if they had a conversion question burning a hole in their brain pocket. Nothing was off limits; did readers wanna know about that time I almost got trampled by bison? Or maybe they heard I just wrote an ebook on Attention-Driven Design and wanted to chat about how data and design can work together? I was an open book. And you can read all the questions and answers below. 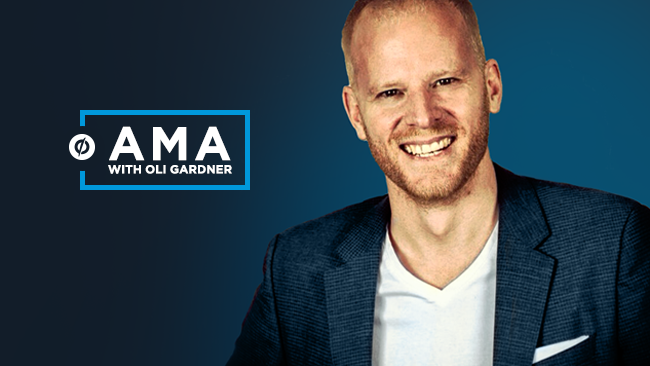 Psst: Stay tuned for more AMAs with marketing and conversion optimization experts. Just sign up for the blog to learn when it’s happening next.